Principal Components and Spin Images are two important concepts used heavily in 2D and 3D image processing. Without going into too much detail, here is the intuitive understanding behind the two concepts. Figure 1: Best fitting ellipsoid (solid line) and worst fitting ellipsoid (dotted line) for a set of 2D vectors. 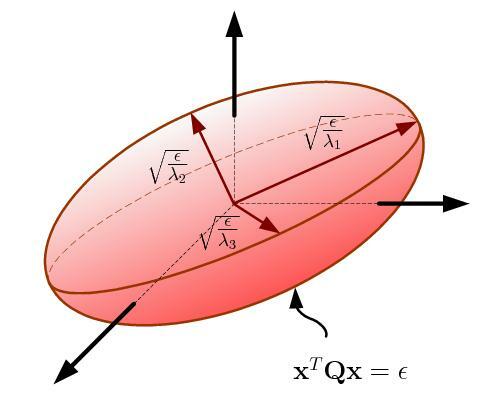 Figure 2: In 3D, the ellipsoid is stretched in 3 different directions, as shown. Second, spin images are images generated by spinning a plane around the smallest eigenvector of the [SS'] matrix. This is equivalent to spinning the plane around the normal vector of the best fitting plane, of a 3D set of points (vectors). As the plane spins around, for each pixel (depending on the resolution of the spin image) it hits a vector. Each time a pixel hits a vector the count of the pixel increases. After a 360 degree spin, each pixel will contain the number of vectors it hit. This is depicted in the Figure below. Figure 3: A spin image captures the histogram of the distribution of points as a plane spins around the normal of the best fitting plane. In 3D, spin images are useful since they are rotationally invariant. 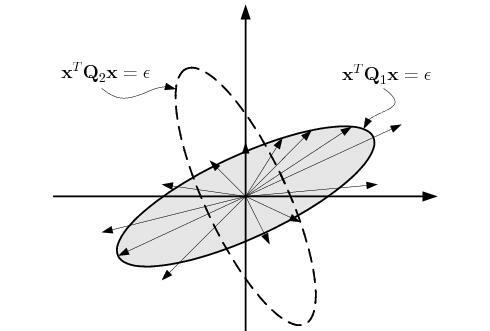 In other words, no matter how the 3D set of vectors are rotated in 3D, the corresponding spin image is the same. This can be useful for object recognition, matching, registration and other 3D applications.